When you notice pet itching and scratching, it may signal a serious health concern. 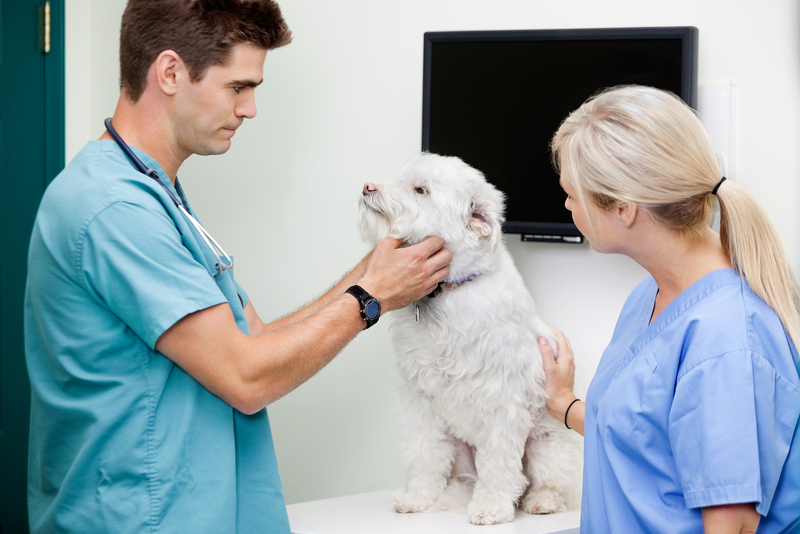 When the itchiness combines with pet skin inflammation or a rash, you may want to consider talking to a Portland veterinarian to address the situation. Pet allergies require treatment and solutions to address the symptoms and encourage the healing process. Dog allergies and cat allergies refer to allergic reactions a pet shows when the skin or body comes into contact with an allergen. It may relate to food allergies as well as contact allergies, so always pay attention to any skin inflammation in a pet. When your pet shows signs of severe reactions, you may need to seek treatment at an emergency animal hospital and talk to an emergency vet to handle the situation. Pet allergies develop in multiple situations, so you want to recognize the signs and symptoms of an allergic reaction. Unlike humans, dogs and cats do not always show obvious discomfort and you need to pay attention to a pet's behavior to identify the complications. The signs of an allergic reaction vary based on the type of allergy. Generally, the signs of an allergy to plants and pollen appear similar to allergies in humans. You may notice coughing, sneezing and discharge near the ears and nose. Atopy, or seasonal allergies, may also show signs of a reaction on a pet's skin. Cat and dog skin inflammation often occurs from flea bites, allergic reactions to pollens or similar allergens. The red skin may also appear dry and flaky, which causes further itching and scratching. A Portland vet offers treatments for mild to moderate allergic reactions when you have concerns about a pet's behavior or the red skin. You may need to seek help from an emergency veterinarian in Portland when pets show signs of severe reactions to seasonal allergies. For example, if a pet has difficulty breathing or swelling, then an animal hospital in Portland offers immediate solutions to address the reaction. Emergency care is not always necessary for mild allergies, but our clinic offers solutions when extreme problems occur. Generally, we suggest seeking treatment at our clinic when pets show signs of swelling, severe skin reactions and difficulty breathing. Pay particular attention if a pet vomits and develops soft stools because it may be a sign of food allergies or intolerance. An emergency vet serving Portland provides solutions when pets develop severe allergies or skin inflammation. We use appropriate medications based on the reaction and the type of allergy to limit health risks for your pets. The spring months impact a pet's health in unexpected ways. Sometimes, the seasonal changes cause allergies in pets and require emergency care to address the symptoms. Consider seeking emergency care for chronic itching, severe redness or swelling. To learn more about pet allergies and treatment options to address allergic reactions in emergency situations, contact us today 503-285-7661.